The advent of innovative technology is revolutionizing the way we interact with our mobile device. Presumably, the eSIM, the new mobile technology, is poised to outsmart long-lived traditional SIM card technology which has worked as a physical solution to enable network availability of a respective telecom service provider. Illustrious especially for introducing glaring trends in the domain of digital innovations, Apple has emerged to make history all over again. They have already made bold decisions like removing headphone jacks from new-gen devices, and now Apple’s visionary eyes have conjured the big picture of eSIM cards by launching iPhone XS, XR and XS Max. These latest next generation devices have incorporated eSIM, the embedded SIM technology replacing the use of physical nano SIM cards that need to be inserted by users in its dedicated slots. Here we will shed light on what eSIM is, its application and long-term benefits and more. 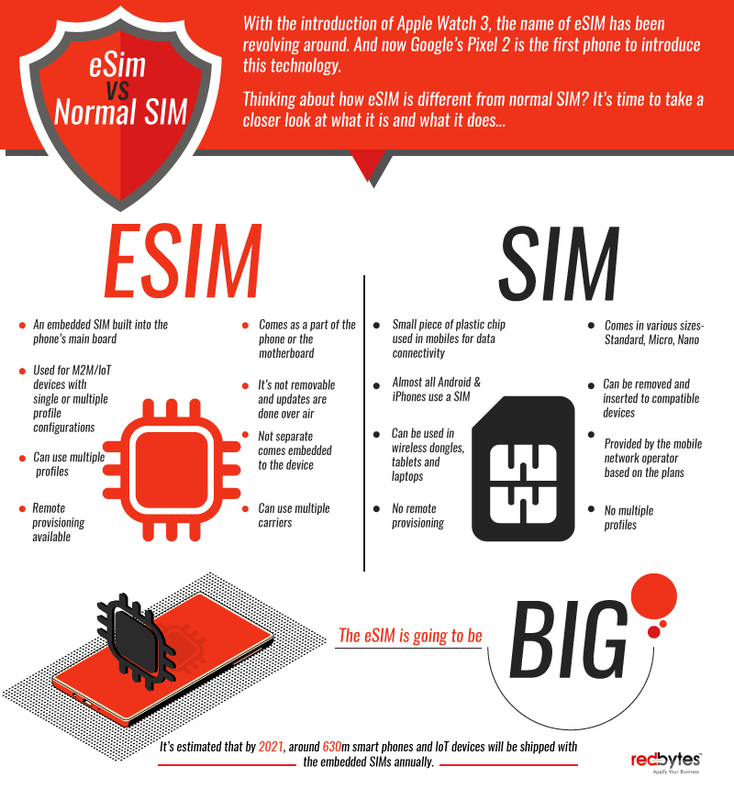 eSIM is an electronic embedded SIM, an intangible technologically evolved system built into the device. Unlike a conventional physical SIM card used to authenticate user identity with a carrier, eSIM is directly embedded into phone’s circuit system and has the size smaller than Nano SIM, remaining physically inaccessible to users. Embedded into your cellular device (smart phone, smartwatch and iPads), the re writable eSIM technology will allow mobile users to switch network operators without compelling them to visit a store for the porting or SIM swapping process. You never have to open a slot or take off the case to place in the SIM. Hence, the possibility of accidentally damaging the SIM is eliminated to your relief. All you need is to download a software form of SIM from the network operator. In near future, we are going to experience phones and networks supporting the embedded SIM cards without a SIM slot. It is a challenge to wonder how smaller still the smartphone SIM can get. The eSIM is a real dwarf contributing to the problem of space owing to removable SIM tray. The space thus obtained by means of eSIM could be better used to improve other device elements such as better camera processing results for enhanced high-quality photo and video experience or elongate battery life. Like this, there is a lot that can be done by creative software engineers and manufacturers with the space freed by eSIM technology. The distance between receiving a new phone and pairing it with a suitable mobile network that supports eSIM facility is quite comfortably small. All you are asked to do is to download the eSIM software and follow the process steps that are as simple as connecting to WiFi. The simplicity and ease of use is the primary merit offered by eSIM cards technology. Due to reduced size of eSIM, which is almost negligible, the design of eSIM-supported devices might grow more compact or lighter. As eSIM cards are embedded into the device circuit, there will be no need for additional SIM card or the tray, which means network providers can forgo the burden of manufacturing bulk of removable SIM cards. Since there are no dynamic parts to touch, there is no fear of losing or compromising the SIM card. eSIM cards thus relieve you from the hassle of SIM swap toil. The added advantage is that the thief who has stolen your device can’t temper in anyway with your SIM card. When you are roaming while enjoying international trips, it is easy to connect to a local operator with eSIM and avail their affordable available data plans. What is more, as eSIM progresses in popularity, users could leverage the potential to subscribe to multiple networks with a single SIM card. This way, you will keep up with inconsistent signal strengths of different careers at home, office or during transition. If all goes as expected, users could even be able to switch from one provider to another, which may add to competition and boost visibility of smaller network providers with no retail presence. In case of eSIM activation, the need to personally visit nearest network operator center or wait for a couple of days before the new card arrives is completely eliminated. You will not be asked to fill long forms like in existing physical SIM card process. eSIM saves the entire rigmarole and simply asks you to scan a QR code delivered by the service provider. That is all that goes in setting up eSIM card on your device. Alternatively, if you can’t get QR code, enter the activation code manually for activation. 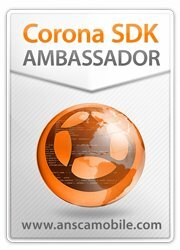 What devices would support eSIM? According to what Apple has announced this year, iPhone XS and XS Max will have eSIM technology with dual SIM support though in China they will still have two physical SIM slots. After launching the new devices, iOS 12.1 will now support eSIM. Users will also experience seamless connectivity in new iPad Pro, Apple Watch series 3 and series 4. In Australian market, 4G enables Apple Watch series 3 and series 4 are the only devices with eSIM embraced by Australian carriers. Telcos eSIM solutions solely focus on wearable technology, allowing single number to work among multiple devices. Since Telcos has been circumspect about dual SIM inclusion, Apple has still not listed any Australian carriers as eSIM supporting carriers. Though Google Pixel and Pixel 2XL feature embedded eSIM, the potential is limited as the technology only works with Google’s Project Fi network in the US at the moment. If you have iPhone XS models with eSIM enabled careers while travelling to another country, you can simply add a new plan to your iPhone by scanning a QR code. You could avail one eSIM plan even with multiple eSIMs in iPhone. By 2020, many mobile manufacturers are expected to adopt eSIM innovation like Apple recently did. Although physical SIM cards have run its regime quite satisfactorily so far, the space consumed still is a crucial factor in smartphone architecture where every millimeter is precious. Since eliminating the need to have tangible SIM cards and replacing them with embedded SIM will create new space in a phone, manufacturers will be inspired to further reduce the device thickness and launch slimmer phone models in the market. As eSIM technology is exponentially embraced, soon will we see old SIM cards become extinct.